These are case studies of the large installations that have taken place in recent years. The technology for these systems has only been available for utility companies and billion dollar businesses in past years. As technology has advanced, prices have slowly declined for these systems and we are happy to be able to now offer them to businesses and residents alike. In 2011, AES Gener, in cooperation with its subsidiary Empresa Eléctrica Angamos, completed construction on a 544 MW thermal power plant in the town of Mejillones in Northern Chile. The plant provides electricity to this important mining region. 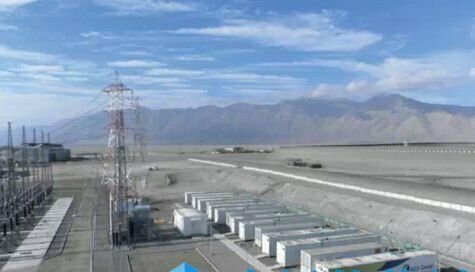 AES Gener’s Los Andes substation is located in the Atacama Desert in Northern Chile and provides electricity to this important mining region. To ensure grid reliability against transmission or generation losses, power generators in the region each hold back capacity to meet system response for primary and secondary reserves. If an alternate solution could qualify to meet the critical grid reliability needs, then we would be able to supply more needed energy generation to this important region of Chile.